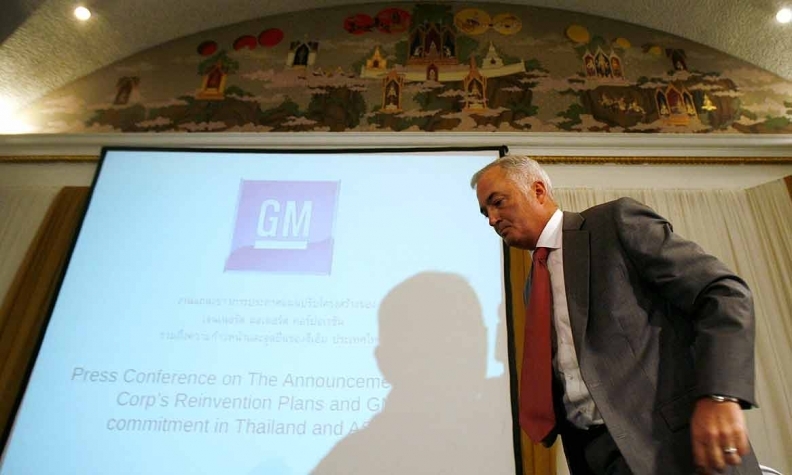 Steve Carlisle, head of GM's Southeast Asia operations, at a news conference in Bangkok in June 2009, shortly after the company filed for bankruptcy in the U.S. A company loyalist in the vein of CEO Mary Barra and product chief Mark Reuss, Carlisle is now steering Cadillac. DETROIT — What's good for General Motors is good for Cadillac, and vice versa. That proposition will be put to the test as Cadillac transitions to a new leader — and a new style of leadership — following the ouster last week of Johan de Nysschen. Over his nearly four years as the brand's global chief, de Nysschen's impact was most measurable not on product or performance, but on positioning: With every move, he and his team sought to distance Cadillac from its checkered past and its corporate parent, pushing for a separate headquarters, a revamped retail network, a European nomenclature and exclusive powertrains. In replacing him with Canadian Steve Carlisle, 55, head of GM Canada and a company loyalist in the vein of CEO Mary Barra and product chief Mark Reuss, GM appears to be signaling its desire to bring Cadillac back into the fold under a single, unified corporate vision that emphasizes speed and measurable return on investment. "I greatly admire and respect the GM top leadership," de Nysschen, 58, wrote in an email to Automotive News last week, "but, in the end, I would conclude that in their opinion, I did not challenge hard enough. Accordingly, they exercised their prerogative to change leadership." While Carlisle, a 36-year GM veteran with extensive product and sales experience, is likely to put his own stamp on the brand, the leadership change isn't expected to significantly affect Cadillac's product plans, its headquarters location or Project Pinnacle, the retail overhaul de Nysschen spearheaded, people familiar with the company said. Steve Carlisle helped get GM Canada back on its feet. Here's what he needs to do to succeed at Cadillac. Move faster: GM President Dan Ammann said Carlisle was brought in to accelerate Cadillac's turnaround. He better do so, or he may find himself joining Johan de Nysschen in a long line of ex-Cadillac executives. Mend fences: Project Pinnacle created a wedge between GM and many dealers. Whether it is scrapped, changed or remains the same, Carlisle needs to do a better job of gaining the trust of U.S. dealers. A scheduled phone call between Carlisle and the Cadillac dealer council this week is a good start. 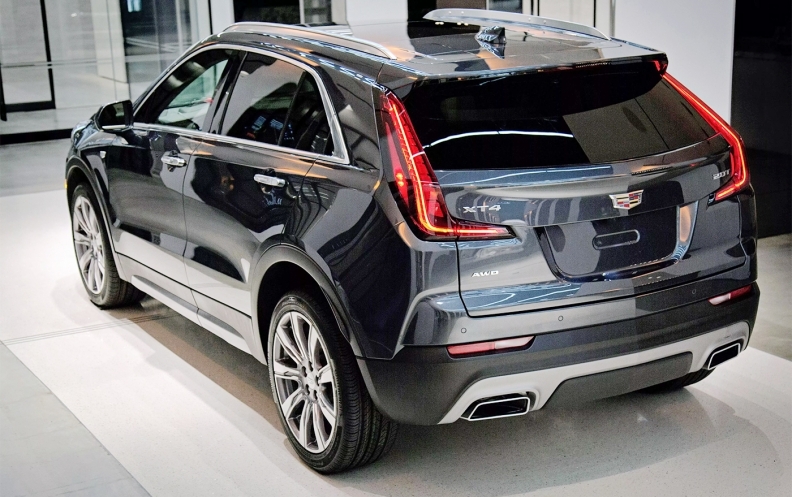 Launch crossovers: Cadillac needed more crossovers 5 years ago. Now that they're beginning to roll out, Carlisle must make sure they're launched as quickly and flawlessly as possible. Market the product: Cadillac turned a corner with its advertising this year by focusing less on New York streets and more on the vehicles. That needs continue, if not accelerate. Stick around: Cadillac hasn't had a steady leader since John Grettenberger retired in 1997 after a 13-year career leading the brand. Like any good company, Cadillac needs stability at the top to thrive. Carlisle, who was born in Woodstock, Ont., and started his career in 1982 at GM's Oshawa Truck Plant in Ontario, is known as a company guy, passionate but not as outspoken as de Nysschen, and a steady hand who led GM Canada through two labour negotiations. When he took over GM Canada in November 2014, the operation was struggling. It was the target of a large lawsuit by former dealers who were let go by GM during the recession. Under his watch, the company's Canadian sales grew to 302,826 vehicles in 2017, up 15 per cent from 2015, and the company was able to patch up its relationship with dealers. Jerry Dias, head of the Canadian labour union Unifor, described him as an "ally." "There's no question Johan is a visionary automotive leader, but given GM's conservative culture, he may have pushed things a step too far," said Jessica Caldwell, executive director of industry analysis at Edmunds. "It feels like Johan spent too much time chasing the German brands instead of embracing Cadillac's unique heritage." The appointment of Carlisle, she said, "speaks to the company's desire for a more back-to-basics, comfortable approach." During Johan de Nysschen's tenure, China surpassed the U.S. as Cadillac's top market. Carlisle also has been a champion of mobility and technology as key growth centers for GM, in line with the priorities articulated by GM President Dan Ammann. This year, he highlighted the role of engineers at GM's Markham, Ontario, software center in developing the Super Cruise automated-driving technology for the Cadillac CT6 and supporting a driverless-car project that GM wants to run in 2019. Ammann said the management change was not about de Nysschen's performance, but about the company's future. "Looking forward, the world is changing rapidly, and, beginning with the launch of the new XT4, it is paramount that we capitalize immediately on the opportunities that arise from this rate of change," Ammann said. Will Churchill, head of the Cadillac dealership council, said GM "shocked the system" with the management change. Carlisle, he said, "obviously comes from inside the walls of GM, which I think is good for GM, but I'm not sure how good it is for Cadillac." 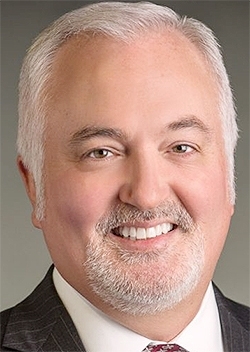 The dealer council is scheduled to have a phone discussion with Carlisle, a relatively unknown executive to U.S. dealers, this week, Churchill said. Johan de Nysschen was known for being outspoken during his tenure. His candidness might have run afoul of General Motors' conservative culture. However, he says, “I greatly admire and respect” GM's leadership. Johan de Nysschen was the longest-serving head of Cadillac since GM's 2009 bankruptcy. Unlike de Nysschen, Carlisle starts his tenure with a slight tail wind. Cadillac's U.S. sales growth has been hampered in recent years by a pileup of sedan models and an over-reliance on its single crossover, now called the XT5. But sales have headed back up this year, aided by a 57 per cent jump in incentive spending. A once-bare product cupboard is being gradually restocked under a 10-year, US$12 billion plan launched by de Nysschen that will see a new vehicle launched every six months through 2021. Sales have surged in China, where a factory built in 2016 churns out CT6 sedans. Meanwhile, the uproar over de Nysschen's signature initiative, the Project Pinnacle retail overhaul, has settled down. Dealers pressed for and won revisions to the program's bonus tiers, while more controversial elements, such as virtual dealerships that carried no inventory, were shelved. 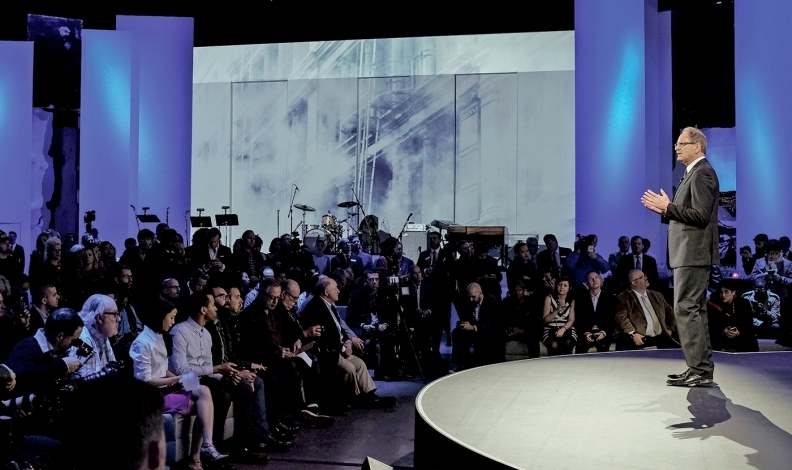 De Nysschen was brought in from Infiniti in August 2014 to transform and re-establish Cadillac as an American luxury leader after years of management turnover and muddled messaging. At the time, Ammann called de Nysschen, who led Audi's transformation in the U.S., "the perfect executive to lead Cadillac for the long term." And de Nysschen himself envisioned the Cadillac post as a long-term project, saying it would perhaps take a decade to return the brand to the "pinnacle of premium." One of the few outsiders to run a GM brand, de Nysschen relished the role of the unsparing professor of luxury. While he publicly supported GM's current executive team — especially for the autonomy they granted him — he was just as public in pointing out what he saw as failures and errors by past leaders. Cadillac has more additions and updates to its crossovers on the way. Future products will continue the brand's transition to a new naming system. Here is the expected timeline. Together with Uwe Ellinghaus, a former BMW executive hired months earlier to head Cadillac marketing, de Nysschen set about not to change consumer perceptions of Cadillac but rather to elevate GM's own perception of luxury. That often meant portraying Cadillac as an abused asset that needed special handling and protection from GM's custody. Always candid, he quickly became a polarizing figure, both within the dealer body and in the newly formed executive suite. "GM is a very complex organization to navigate," he told Automotive News. "I saw my role to act as a change agent to challenge the status quo, in the reasoning that more of the same would not lead to a different outcome. I suppose in the process, I did not endear myself to everyone." Ellinghaus, too, puzzled dealers in Cadillac's Middle American strongholds with a marketing campaign that dwelled on New York City streetscapes, operatic soundtracks, forays into art and fashion and the awkward tag line "Dare Greatly." Ellinghaus quit the company four months ago and was replaced by auto marketing veteran Deborah Wahl. De Nysschen described his time leading Cadillac as "extraordinarily demanding and massively energizing." He said he "loved the brand, the company and my job" — all things he will miss "very much." His record, by the numbers, is mixed. Cadillac's annual U.S. sales have declined 11 per cent since 2015, his first full year at the helm. But the brand continues to surge in China, putting it on track to achieve record global sales in 2018. Of all his efforts, it's Project Pinnacle that likely will shape his legacy at Cadillac. De Nysschen announced the program in early 2016 as a way to elevate profits, service standards and expectations at Cadillac dealerships. Under the original plan, some small-volume dealers were to be stripped of their inventory and function as virtual showrooms. De Nysschen was defiant in the face of complaints that he was trying to muscle dealers out of the network. But by the time the program was launched in April 2017, after repeated delays, many provisions had been watered down, including the virtual showrooms. Several dealers who spoke with Automotive News applauded de Nysschen's ouster and called for ending Pinnacle, while others expressed mixed emotions and concern about what will come of their millions of dollars in investments if Carlisle significantly changes course. Churchill, dealer principal at Frank Kent Cadillac in Fort Worth, Texas, said he's confident de Nysschen's moves will be validated over time as dealership operations improve and more products roll out. "He did a lot of the dirty, tough work," Churchill said, adding that he has received dozens of calls from concerned dealers. "This thing is really set up for success. The reason we haven't had a lot of success is because we haven't had the product portfolio." He added: "A lot of the fruits of Johan's labours will be over the next three or four years, which someone else will get credit for."